Hawaii’s Lanai offers the perfect island escape for parents-to-be. 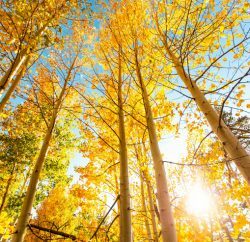 We’re all familiar with the concept of the honeymoon—a relaxing getaway on which newly married couples embark to solidify their bond, de-stress post-wedding and enjoy those early days of matrimonial magic. But the babymoon, a relatively novel travel trend, adds its own spin to a couples’ getaway, putting rest, relaxation and romance before the mayhem of a major milestone: baby. At seven months pregnant and grappling with a new level of fatigue and that overwhelming feeling that comes with any exciting life change, I decided to put my to-do lists (both those pertaining to my role as an editor and as a mom-to-be) on hold, grab my husband and test out this idea of the babymoon. And where better to leave behind all elements of reality than the private paradise that is Lanai? One of the seven main islands that Hawaii comprises, Lanai is a lesser-known, less-visited locale, perhaps because it’s the smallest inhabited island and the least developed in the chain; at approximately 140 square miles, with only 30 miles of paved roads, there’s not one traffic light on Lanai, and just over 3,000 residents call it home. In the early 1920s, James Dole purchased the island, and for decades it was best known for being the site of the Dole Food Co.—one of the world’s largest pineapple plantations and exporters of the fruit. In fact, for nearly the entire 20th century, the island was affectionately called the Pineapple Isle. Today, Larry Ellison, co-founder and former CEO of Oracle Corp., owns 98 percent of Lanai, which he purchased in 2012. But it remains as sleepy and bucolic as ever. And though you won’t find a pineapple plantation on the island today, you will find a Four Seasons resort, a protected marine area, miles of undisturbed landscape and a lifestyle that favors the slow and steady—in other words, the perfect destination for two future parents in search of a little calm before the storm. Four Seasons Resort Lanai’s pool area is a tropical oasis. 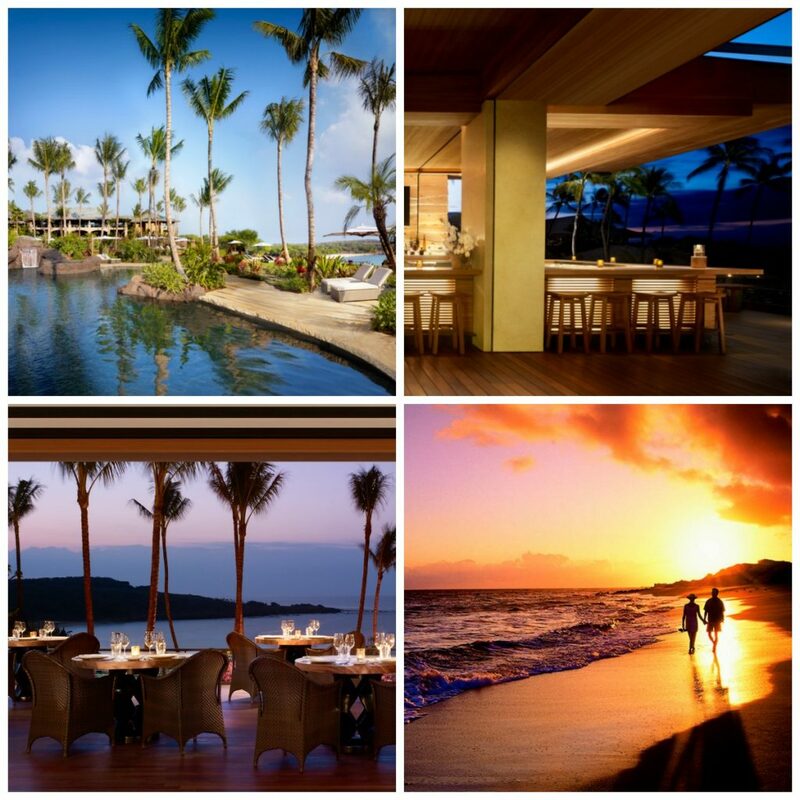 The resort boasts Nobu Lanai restaurant, from world-famous chef Nobu Matsuhisa. These outdoor spaces are ubiquitous throughout, from the restaurants to the resort’s lower lobby level. After all, the luxury property offers a breathtaking view of the Hulopoe Bay, a marine sanctuary that boasts a pristine, white sandy beach from which, mere minutes after arriving at the resort, we spotted a breaching humpback whale; peak whale season in Hawaii is December through May, so these sightings would become commonplace over the course of our stay. And with one glance at the bay, the warm turquoise waters and the promise of spectacular marine life—the area is also home to spinner dolphins—beckoned us in. Almost immediately after we unpacked our bags, we followed the short pathway from the resort to the public beach, where Four Seasons staff were on hand to set us up with complimentary beach chairs, umbrellas, water and, most importantly, snorkel gear. The sheltered bay offers some of Hawaii’s best snorkeling, an activity perfect for a pregnant person who still seeks some (low-impact) ocean adventure. A massive reef just off the shore, dotted with innumerable tropical fish of all colors, shapes and sizes, is nothing short of magical and more than accessible for snorkelers of all levels; while I skimmed the water’s surface and marveled at an enormous, fluorescent-hued parrotfish, Will explored the depths below, swimming through caves and tunnels created by unique coral formations. Post-snorkel, some poolside R&R was in order. The resort includes two separate pool areas overlooking the bay, one specifically for adults, which is perfect for those guests, like ourselves, who choose to relish in the silence of the tropical oasis that is the Four Seasons’ exterior. In fact, we went as far as reserving a Pool Sanctuary for the ultimate in peaceful privacy; nestled throughout the grounds’ gardens, the secluded sanctuary spaces offer wicker cabanas with comfy, oversized couches and lounge chairs. We chose a sanctuary perched at the resort’s edge, with no other guests in sight and panoramic views of the Pacific—the perfect place to toast with a “mocktail” (the resort’s nonalcoholic mojito was my personal favorite) the start of our last vacation as a party of two. The island of Lanai has only 30 miles of paved roads and not a single traffic light. Typically, Will and I are the type of travelers who set out to do everything, setting our alarms early and creating ample itineraries so that we don’t miss out on all there is to see and do. But we made a pact that our babymoon would be slow-paced and restorative, beginning with an hourlong private yoga session. With views of the ocean behind us, we hit the reset button, quieting our minds as we relaxed into vacation mode. Next, while Will worked out in the resort’s gym, I indulged in a prenatal massage at the Hawanawana Spa; for the next 60 minutes, with the help of richly moisturizing coconut oil, the aches and pains brought on by travel slowly dissipated, leaving me soothed, energized and ready for the days ahead, which, for us, would perfectly blend lounging with Lanai adventure. Of course, if you’re looking for nothing more than a little pampering and a lot of lying in the sun, the resort’s spa and pool have got you covered (insider tip: whether you’re pregnant or not, the poolside foot massage is the ultimate luxury). 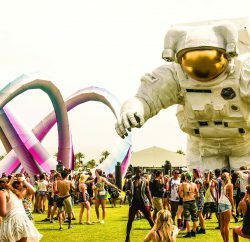 But the quiet island offers much to explore for the pregnant set, too, and we couldn’t help but seek out some of the outdoor activities that Lanai has to offer. 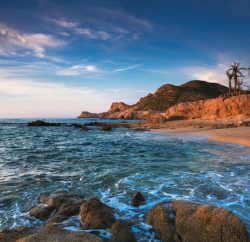 Snorkeling is a must-do activity—as is simply enjoying a daily swim off the shore; the water temperature hovers around 75 degrees during the winter months—but there is plenty to do by land as well, especially in the way of hiking. Take, for example, the short jaunt to the overlook of Lanai’s famed Puu Pehe, or Sweetheart Rock. Nestled between Manele and Hulopoe bays, the natural landmark is also rich in Hawaiian history: Legend has it that a Lanai warrior leapt from the 80-foot rock formation just off the coast after his lover drowned. The hike leads you to the top of a rocky cliff, which overlooks Puu Pehe, and includes stunning views of the resort and the nearby cliffs, beaches and tide pools. The view of Maunalei Valley from the Koloiki Ridge hike ; Lanai Cultural & Heritage Center; and Lanai City’s Blue Ginger Café. More serious hikers can follow the Fisherman’s Trail, which hugs the coastline and begins on Hulopoe Beach below the resort. The rugged path offers scenic ocean views throughout, and takes roughly two hours round-trip. 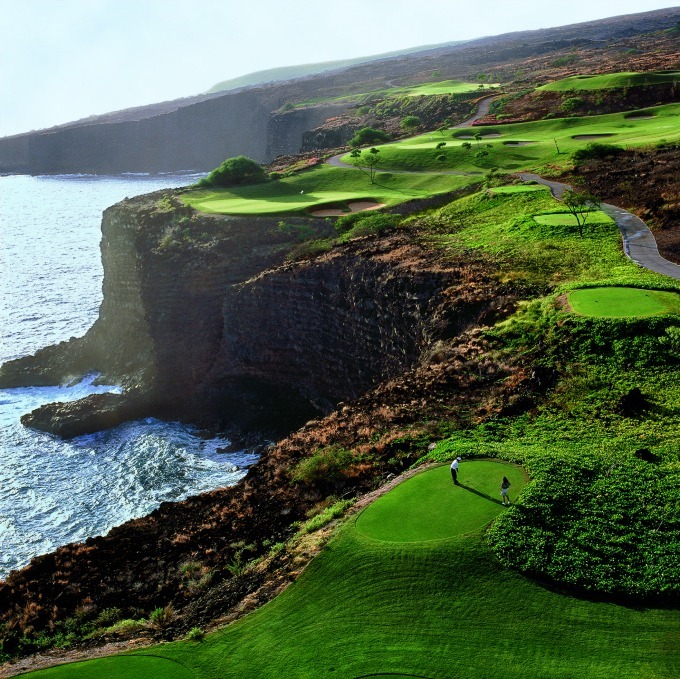 Some parts of the trail will even lead you down to and across a series of rocky beaches, while others run parallel to the back nine holes of the property’s renowned Manele Golf Course, perched cliff-side, high above Hulopoe Bay (insider tip: avid golfers should bring along a bag to collect the ample rogue balls found along the trail). Alternatively, for those seeking a full afternoon adventure with a moderate workout, the Koloiki Ridge hike offers a completely different perspective of the island. First, take a roughly 20-minute cab ride to the Four Seasons Resort Lanai, The Lodge at Koele—also owned by Ellison but currently closed and undergoing major renovations to reopen with a spa and wellness concept in 2018. From there, your knowledgeable driver (the island has just one cab company operated by longtime locals) will point you in the direction of the Koloiki trailhead, located just behind the clubhouse. The 5-mile trek deposits you at Maunalei Valley, the largest and deepest on Lanai, with breathtaking views of Molokai and Maui islands on either side. Though the trail itself isn’t steep and you actually end up losing 164 feet of altitude, the massive cliffs at Koloiki Ridge are awe-inspiring from every angle. 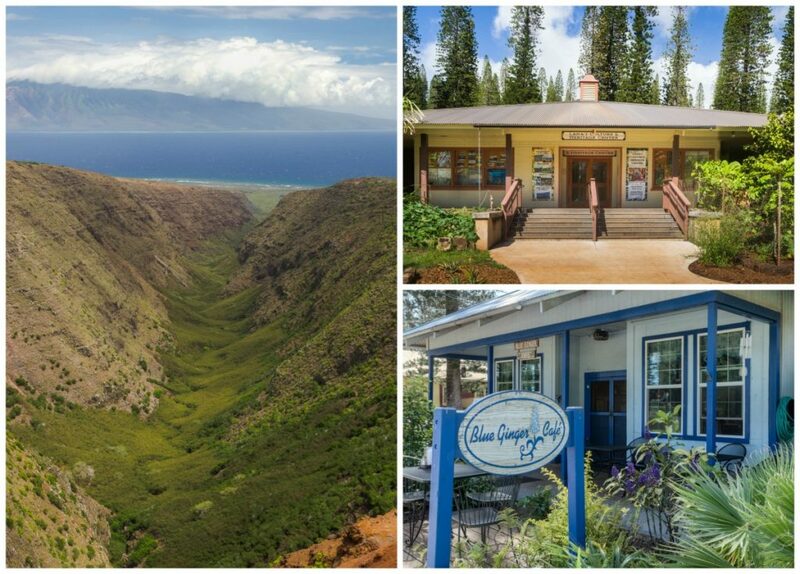 A visit to Lanai City—just a short walk from The Lodge at Koele—is also essential during your stay on the island, if only to help you better understand and appreciate how laid-back and quaint it truly is. At the center of town lies the grassy Dole Park, which is bordered by a few boutiques, eateries, shops and Richard’s Market, the island’s only grocery store. The nearby Mike Carroll Gallery features works by the celebrated plein air painter, who successfully captures Lanai’s charm from mountain to coast, as well as a selection of works by guest artists. And if you’re eager to learn more about those storied landscapes, head over to the Lanai Culture & Heritage Center; opened in 2007, the center is a nonprofit organization fueled by local families’ involvement and support and whose mission is to preserve the island’s history, artifacts and memorabilia, with which the small space teems. Enjoy a long, lazy lunch at the Blue Ginger Café, a local favorite that serves authentic Hawaiian cuisine, before heading back to the Four Seasons. 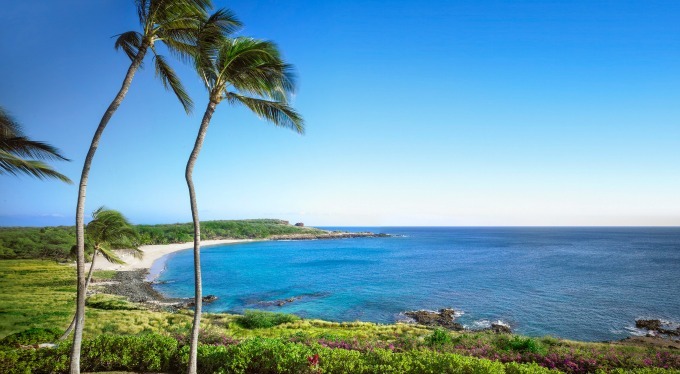 Lanai, Hawaii’s least developed and smallest inhabited island, is the ideal babymoon destination; its Hulopoe Bay (pictured) is one of many peaceful, picture-perfect locations. Malibu Farms offers healthy fare, like the vegan chop salad (also pictured above). Lingering over mouthwatering meals is the foundation of any babymoon done well, and the resort’s offerings are nothing short of incredible, leaving every craving—sweet or salty, healthy or decadent—satiated. We were tempted each morning by the daily breakfast at One Forty restaurant, a AAA Four Diamond restaurant with sweeping ocean views and that also serves dinner in a more upscale, island-style environment. The breakfast buffet boasts omelet, fresh smoothie and juice stations, as well as pastries, bagels and toast, acai bowls, a wide selection of tropical fruit, artisan cheeses and more. But for those days that began with vigorous activity, such as a hike or workout, we opted for an iced coffee, piece of fruit and yogurt parfait from The Sports Bar & Grill, which hosts a pop-up coffee shop in the morning, but also serves tantalizing fare like lobster rolls, venison pizza, roasted stuffed pepper and grilled cheese from 11 a.m. to 10:30 p.m. daily. For lunch, nothing beats Malibu Farm; the eatery, founded in Los Angeles, offers healthy but flavorful menu items that can be enjoyed poolside—or on the beach—as well as in the restaurant’s alfresco dining space, adjacent to the pool. The greens, like the vegan chop and the grilled chicken tortilla salads, are filling, good-for-you options, while the shareable snacks, like the vegetable crudites and hummus platter or the cauliflower lavash pizza on the “pupus” section of the menu, are perfect for nibbling alongside a refreshing daiquiri or iced tea. 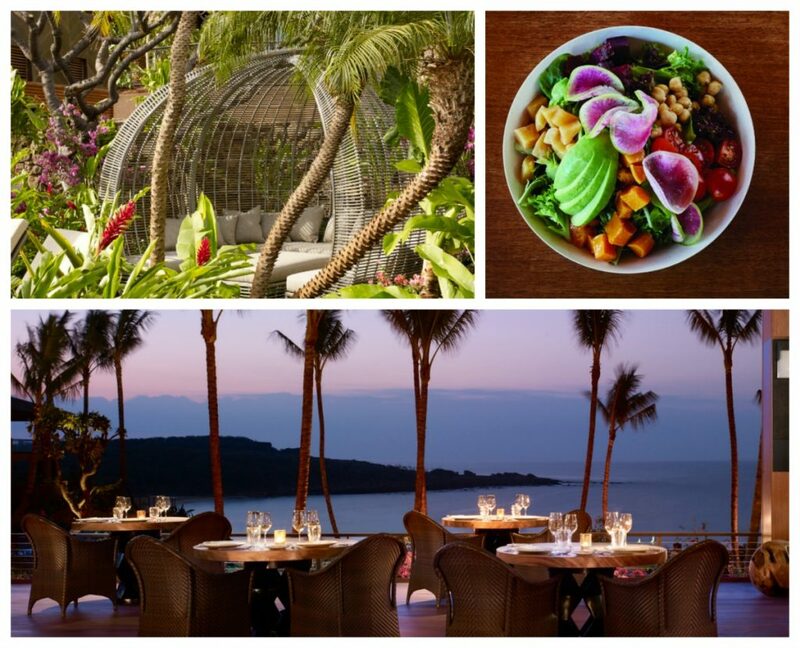 As the sun begins to set, there’s no better dining locale on the island than Nobu Lanai, from the celebrated and world-famous chef Nobu Matsuhisa. Here, the Nobu experience is singular; the romantic, open-air deck setting offers the ideal space for indulging in fresh fish, with Hulopoe Bay as the backdrop. To my delight, the menu offered plenty of cooked seafood options, like the black cod miso wrapped in butter lettuce, the rock shrimp tempura, and sushi mainstays like California and avocado rolls. So, even if you’re expecting, you can still expect an off-the-charts meal that will leave you feeling full—but not too full, as you’d be remiss not to try the heavenly banana soy toban yaki dessert, which features soy caramelized bananas, candied pecans and banana nut bread croutons, roasted on a ceramic plate and served alongside rum raisin ice cream—the perfect note on which to end your Nobu night. On our final evening, well-fed, relaxed and exhausted in the best way possible, we tucked into one of the couches at The Sports Bar & Grill, which offers some of the most beautiful views of the bay, and ordered our final round of drinks: the Lanai-Tai for Will (the resort’s spin on a Hawaiian classic, the mai tai) and a pineapple juice for me—a nod to the island’s legacy, and all the more refreshing in Hawaii. As we reflected on all the previous days’ activities, which included highlights like a vigorous sunrise hike, languid afternoons on the beach and cozy, starlit dinners—as well as finally landing on the perfect baby name—we toasted to one of the most beautiful places we’d ventured to together, and to the next chapter of our lives. The resort’s world-ranked 18-hole golf course is as scenic as it is exciting to play. Designed by Jack Nicklaus, a legendary former professional golfer, the Manele Golf Course is one of the Four Seasons Resort Lanai’s crown jewels. Built on lava outcroppings, the course offers awe-inspiring views of the Pacific and Hulopoe Bay from most holes, and the landscape makes it just difficult enough for golfers of all levels to enjoy. Access to the driving range and putting green is complimentary for guests, as are clubs and balls.